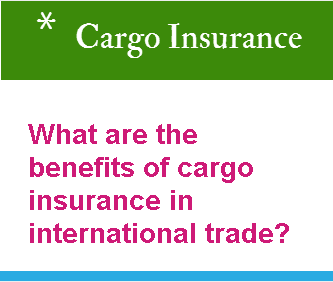 What are the benefits of cargo insurance in international trade? 90% of international cargo transportation is carried out by sea. Again overwhelming amount of sea transportation is handled via containers by means of state of art container vessels. 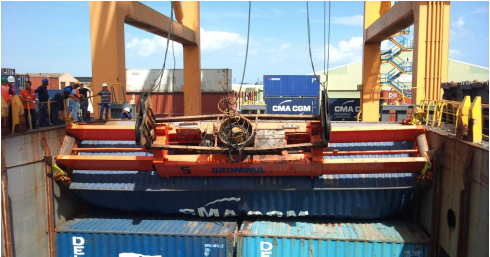 Container shipment can be accepted as one of the safest mode of transportation in international logistics along with air and rail shipments, but even containerized sea shipments are not free of accidents. Every year around 750 containers lost at sea in minor incidents. When you include catastrophic events 2000-3000 containers lost in aggregate every year in international sea transportation. If you add piracy, terrorism, war and strike risks, you will reach substantial risk amount not only for sea transportation, but also other modes of transport as well. The only way to get rid of risks associated with transportation is to secure the shipment with an appropriate cargo insurance. 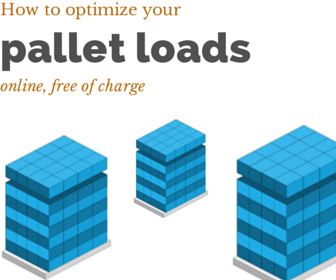 Today I would like to explain the benefits of cargo insurance in international trade. Cargo insurance covers you against total loss of the containers during the sea transportation: As I have mentioned above, significant amount of containers lost at sea every year. Below you can find the latest survey results, which have been conducted by the World Shipping Council (WSC). The survey of the years 2011, 2012 and 2013 estimates that there were approximately 733 containers lost at sea on average for each of these three years, not counting catastrophic events. When one includes catastrophic losses (as defined above) during these years, the average annual loss for the period was approximately 2,683 containers. This larger number is due primarily to two factors: the complete loss in 2013 of the MOL Comfort in the Indian Ocean and all of the 4,293 containers on board – the worst containership loss in history; and, in 2011, the grounding and loss of the M/V Rena off New Zealand, which resulted in a loss overboard of roughly 900 containers. These incidents involved complete and total vessel losses. Please read full report from this link. All types of cargo insurance policies covers you against total loss of the containers during the sea transportation. Cargo insurance covers you against accidents at the terminals: Marine cargo insurance can help you to cover your loses, which happened at the container terminals. All risks insurance policies, Institute Cargo Clauses (A), covers you against your losses occured at the container terminals. Cargo insurance covers you against accidents occurred during the local transportation: Warehouse to warehouse marine cargo insurance policy, which is All Risks Institute Cargo Clauses (A), may cover your loses, which happened during the local transport between the exporter's factory and port of loading or port of discharge and importer's warehouse. Suggested Reading: What are the differences between Institute Cargo Clauses A and Institute Cargo Clauses C? Cargo insurance covers you against war and strike risk: If you buy additional war and strike clauses to an All Risks Institute Cargo Clauses (A), you may be covered against war and strike risks. Suggested Reading: Does All Risks insurance policy covers war and strike risks?Suggested Reading: How to use Institute Strike Clauses in marine cargo insurance policies?Suggested Reading: How to use Institute War Clauses in marine cargo insurance policies? You may have to purchase a cargo insurance in order to fulfil your obligations under a letter of credit: If letter of credit requests an insurance policy, you have to present one to the issuing bank, otherwise you may not be able to get your money. You may have to purchase a cargo insurance in order to complete import procedures: Some countries demand an insurance certificate during the import operations from the importers. In such a situation, importers may have to purchase a cargo insurance even long after arrival of the goods.